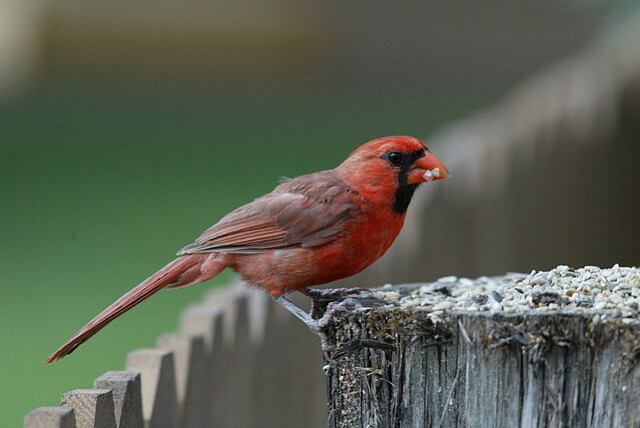 OpenScientist: Get Ready for the Great Backyard Bird Count! Last year I highlighted various Nature-based projects during my Spring into Citizen Science campaign. I also talked about various birdwatching events related to those Spring contests even though the events were many months away. Six weeks ago we had the long-running Christmas Bird Count to enjoy. Now we have the next, and arguably simplest, project to participate in: The Great Backyard Bird Count. This year's event will take place Friday, February 17- Monday, February 20. No need to mark off the whole weekend...all they ask is fifteen minutes of your time (you can spend longer but certainly don't need to). And you don't even have to travel...everything can happen from your own backyard. Though you can do more and include a walking count (some local schools and parks are even organizing them) it isn't required. Co-sponsored in the U.S. by the National Audubon Society and the Cornell Lab of Ornithology, there is a strong scientific pedigree for this program. They make sure the data collection is not just fun, but that it will help scientists map bird populations, track migration patterns, and understand the impact of climate on bird behavior. Visit the Great Backyard Bird Count web site to learn about the program and watch their informative video on getting involved. There are many tools to learn how to participate depending on the type of learner you are. You can also download the Easy Instruction Sheet in case questions pop up while birdwatching away from home. Pick a day and time for the bird count. You can also join a local group using the Events list provided on the GBBC web site. Once you pick the counting location, use the Regional Bird Checklist for a list of all the birds anticipated in that area during February. Just provide a zip code or park name; a list of all the common-to-rare birds will come up you can keep count with. Take this with you during the count along with a bird field guide for help with identification. Go outside and have fun counting! Once completed, go back to the GBBC web site and click on "Enter Your Checklists" to upload your count to the program scientists. If you do multiple, separate counts during the 4-day weekend, just make sure to enter a separate checklist for each one. That's all there is to it! Participation is open to participants of all ages and skill levels. Everything has been made simple and easy for beginners to do. The data is scientifically important. But if you're still not certain about whether to join, let me give you one more...Prizes! Every person that signs up is entered into a drawing for birdwatching "door prizes" donated by their sponsors. Check out the whole list here, but remember, you have to play to win. So there's no excuse not to participate. Once the weekend ends the fun doesn't have to. Data from all the combined bird counts is available for anyone to use on the Results page. See maps or download spreadsheets for your own analysis. It's all there for you enjoy.